...and look at the current Timbers 2 roster as it stands. Argentine Primera División club Talleres announced Tuesday that 20-year-old midfielder Cristian Ojeda is coming to Portland Timbers. He would likely prove himself at Timbers 2 this year, with the hope of moving to the first team next season, similarly to Marvin Loria’s path. The brief report on the Talleres website, however, states his loan is for one year, with the goal of earning minutes in MLS with the Timbers. Time will tell. At Talleres, Ojeda worked his way from the club U-20 team to Talleres II in the 2016-17 season, and was further promoted in 2018 to the first team, where he has appeared five times. Ojeda earned a call-up to the Argentine U-20 national team, but has yet to see minutes in a match. 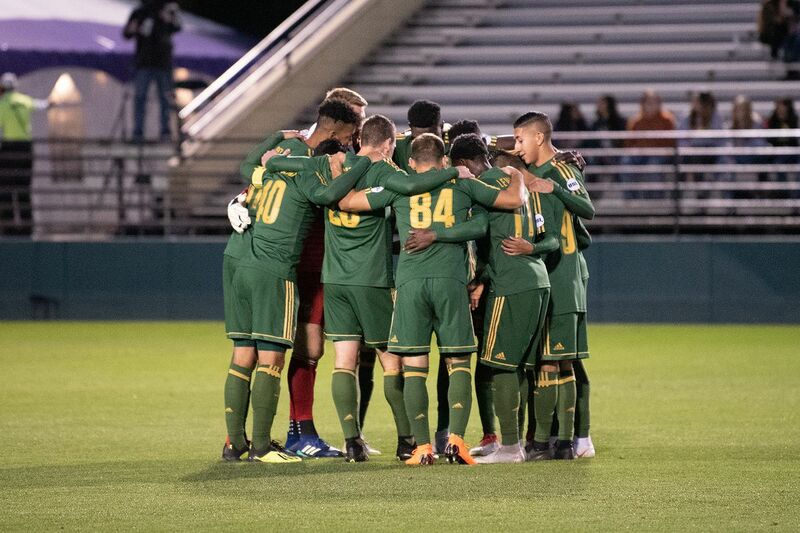 A few weeks ago, T2 signed four more players: Timbers academy standout-midfielder Carlos Anquiano, who played 464 minutes with T2 last year; midfielder Todd Wharton from USL team Rio Grande Valley FC; defender Niko De Vera, a native of Camas, Washington, who was recruited in the 2018 draft by the New York Redbulls and played for their USL squad last year; and goalkeeper Jake Leeker, arriving from USL side Real Monarchs SLC. Goalkeeper Kendall McIntosh is rumored to go on loan this season. Clearly, T2 still need more players before the start of their season on March 9th. Timbers players vying for first-team minutes who are left out of the eighteen may be sent to T2 in a given week to play. These players might include Eryk Williamson, Renzo Zambrano, Cristhian Paredes, Tomás Conechny, Marvin Loria, Dairon Asprilla, Andrés Flores and the Timbers’ third-ranked goalkeeper.